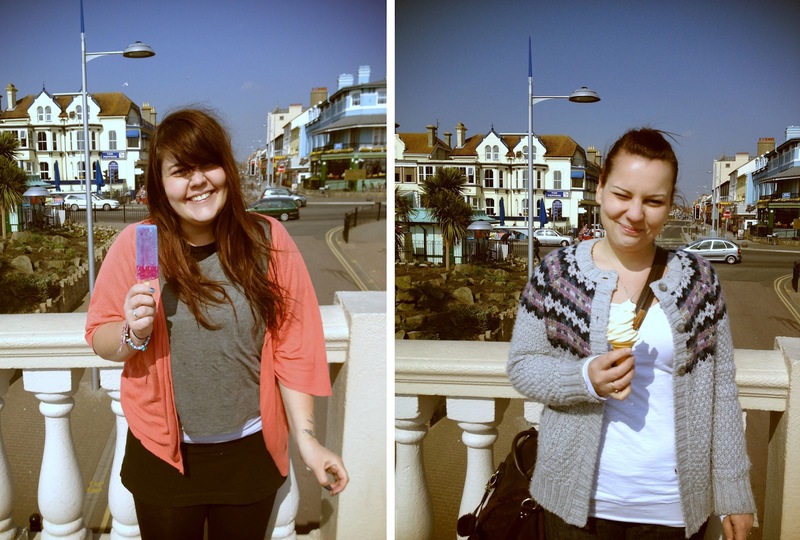 At the start of the easter break me and my family headed to Clacton in Essex, back when we had sunshine in the uk. The photo of me and my sister was taken on the last day of the little holiday the caravan was cold so all our clothes got damp, so that is why i am wearing a mixture of what i like to call my messy clothes. We drove around and to in the sites of rural Essex, its such a lovely little county there is alot more to essex than the only way is essex. Its always really nice nice to be with my family. My little brother turn 20 whilst we were on the holiday, i am still yet to get my Nixon Dx camera fixed so thats why my photos are a little blurred due to being taken on my Iphone. Looking forward to getting my new lens. Heres to me wishing for some more sunshine soon. Previous Post painting my old friend.